One in Vizcaya, the other in Eibar. Both 10 minutes from downtown. 2 are the proposals that the shareholders of the gunsmith club will vote on next October 23. The expected "spring" shareholders meeting is finally here. Although it will be Autumn. Eibar presented this morning before the press the 2 proposals selected for the location of its sports city. 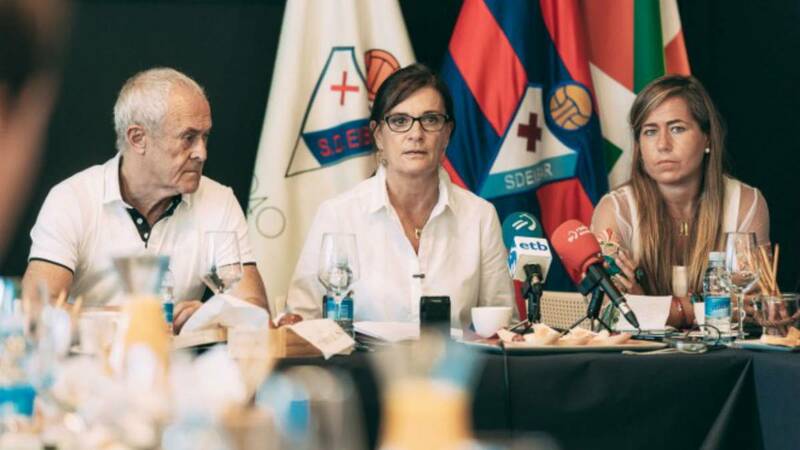 According to Amaia Gorostiza, president of the club: "We see as fundamental that tomorrow we see that the passage for the first time has left heritage in Eibar. Because the club has no heritage. Ipurua is the town hall ". With a structure of more than 500 players and 100 technicians, the club sees an equality of structures to the reality that Eibar is living in today. That is why, since 2014, they have been working to find a place where the club can carry out its sporting activity. The delay, they say, "is due to the large number of owners of the pre-contracted land. In some cases, more than 30 ". From the council, they wanted to make clear that as Eibarreses their desire was to build the facilities in Eibar. However, the problems encountered regarding the terrain has forced to look outside the city. Amaia Gorostiza, president, has made clear what is the position of the club before the proposals: "We are first eibarreses and then Eibar. We would love it to be built in Eibar, but this is a company and we have to look after the interests of SD Eibar. The Board of Directors is committed to the Areitio option. " The club wanted to emphasize that the new sports city will not bring about the generation of local economy, and stressed that the only agency that does is Ipurua. Finally, Gorostiza has underlined that: "none of the locations has to do with any Director or any relative of any director" . - The surface has a capacity of 81,000 m2 where 4 fields (2 of natural grass and 2 of artificial grass) would be built and where it would be possible to expand to a fifth field. - It is constructed a building for the rest of facilities. - There is a parking that should be adapted. - The cost of the project amounts to 16 million euros, including the price of land. - The term of execution of civil works (not counting urban planning) would be 18 months. - Currently has public transport by bus to the facilities. - Capacity for 3 fields (2 of natural grass and one of artificial grass) without possibility of extension. - It has not built the building for the rest of facilities. - It is necessary to make a clearing. - In the area runs a stream whose deviation would need the permission of the Basque Government. - Estimated cost of 21.4 million, including the price of the land. - Term for the execution of the civil works (not counting the town planning procedures): 20 months. - At present, there is no public transport to the facilities. The regular meeting of shareholders of next October 23 will also have as point of the day the approval of the accounts of the season 17/18, where the Eibar has increased by 10 million euros your budget for this course. According to Patricia Rodriguez, the club's managing director: "We have gone from an asset of 50 million to 60 million. More than half are in the bank in short-term investments as in current account. This means that you can tackle the work with your own resources, "he said alluding to the work of the sports city.